So often there is confusion with the names and trademarks used by companies to advertise their products. To show you what I mean – how many of you regularly Hoover your carpets or drum rugs!? Are you sure? Really? 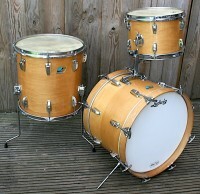 The biggest confusion I’ve found in ‘Vintage Drum World’ is with Ludwig’s most sought after ‘Super Classic’ drums. 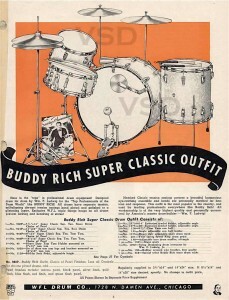 The super name started to appear in Ludwig catalogues as early as the 1930’s, and referred to a range of drum sets for the professional “who desires a complete outfit at a modest expenditure”…. 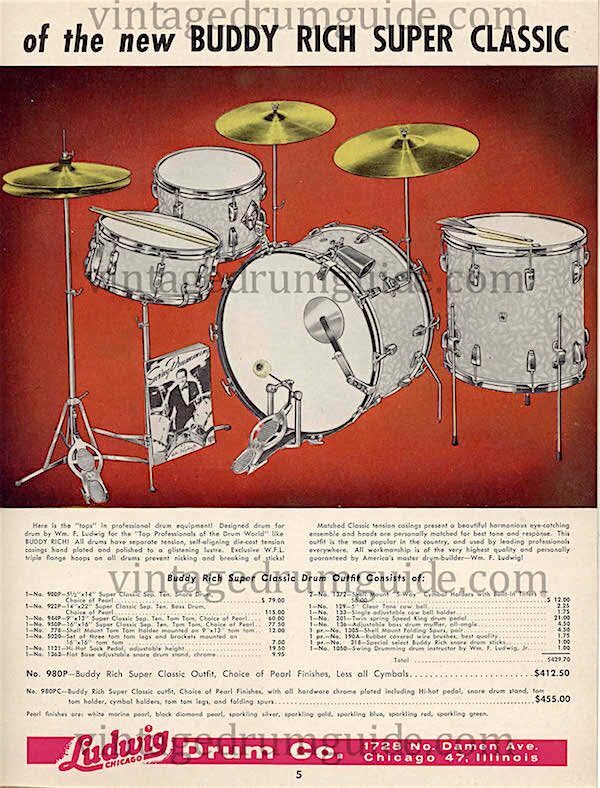 By 1957, the more standardised Super Classic Drum set we all know (and probably think of every time we think of ‘that’ Ludwig set) graces the catalogue pages. 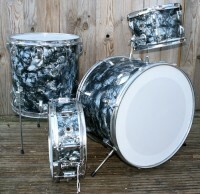 It has a 22×14” bass drums with rail mount, 13×9” rack tom, 16×16 floor tom and a 14×5.5” snare, all still emblazoned with Buddy’s name. 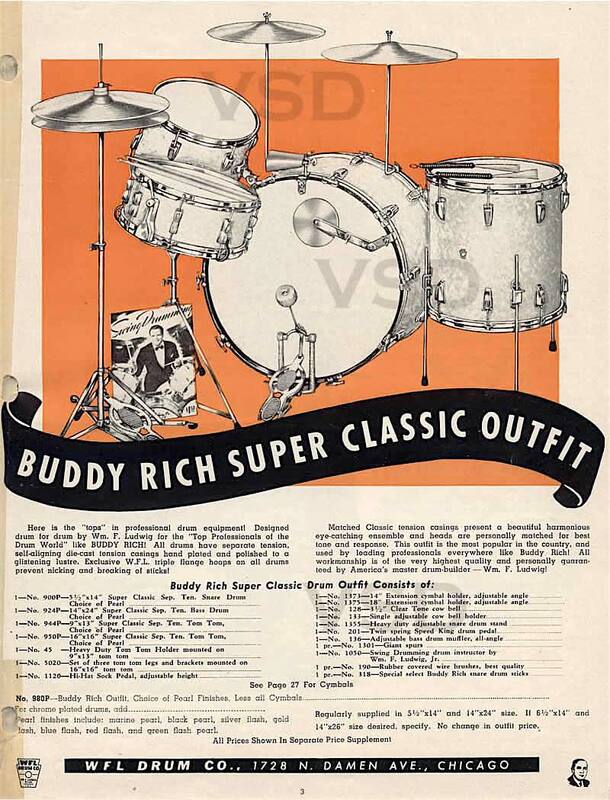 From 1959 until 1971 the Super Classic outfit appears in Ludwig’s drum catalogues without variation, with those standardised sizes drums and, for me most importantly, with the rail mount on top of the bass drum. 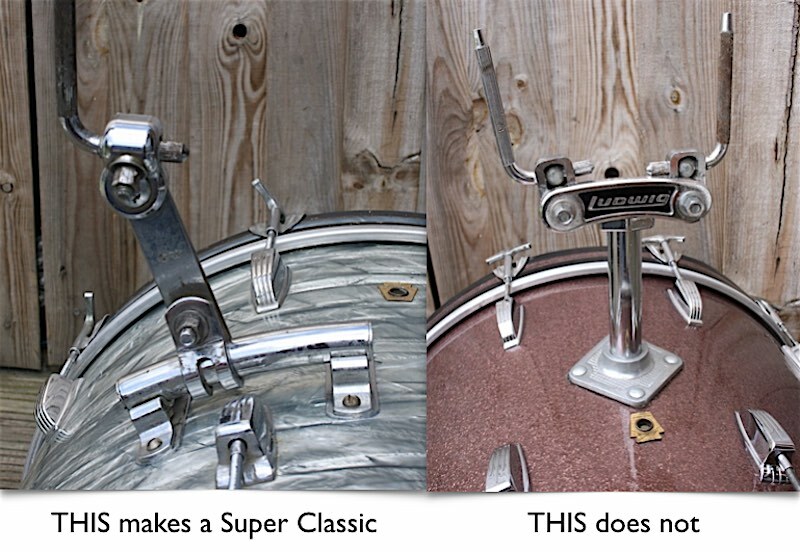 For me it is the rail mount system that just makes a Super Classic set. Without it, its just not right. 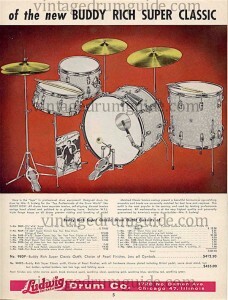 From 1959 Ludwig offered the same 3-ply shell construction and finishes in many size and set up configurations including the Downbeat, Blue Note and New Yorker. 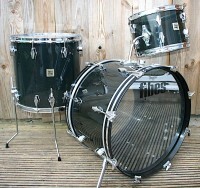 The tendency for Hollywood owners to sell their 12×8” tom separately and then advertise the 22′, 13′, 16′ set as a Super Classic has caused much confusion recently. But simply for purists, if there isn’t a rail mount, it’s from another range of drums, and it isn’t a Super Classic. The Super Classic was never its own range of shells, it was always a size and configuration option, and a very popular one at that. Modern day players and collectors still use and rightfully covet these drums, as they have been a forerunner of the modern music scene for nearly 70 years.